We’d like to thank you for the outpouring of support that you've shown Wrightsville Beach during September's hurricane. Wrightsville Beach is open for business. We are seeing many activities on the island resume, like dining, shopping and taking in this beautiful view of Johnnie Mercer’s Pier as seen in this post-storm photo. As fall visitors return, it's the perfect time to explore the outdoors. Find lodging updates here and attraction updates here as of October 18. Please note that we are no longer updating this information as many of our lodging properties are now open. The Blockade Runner Beach Resort is closed for renovations and will re-open early spring 2019, Shell Island Resort is closed and will re-open in February 2019. Please be sure to contact accommodations and attractions directly prior to your visit if you have questions regarding availability. Click here to view our calendar of upcoming events. Please be sure to contact the event organizer directly prior to your visit if you have questions regarding October and November events. American Red Cross – The Red Cross is accepting donations for Hurricane Florence relief online and over the phone. The website offers a variety of volunteer opportunities to match a wide range of interests and time commitment. Click here to sign up to help or to donate online. Or call 1-800-HELP NOW (1-800-435-7669) to donate over the phone. NBA Cares – Michael Jordan, the Charlotte Hornets and the NBA family are working together with a number of community organizations to provide necessary and immediate relief and support to those affected by Hurricane Florence in the superstar’s home state. Participating organizations include the American Red Cross, Second Harvest Food Bank of Metrolina, United Way of Central Carolinas, Direct Relief and Foundation for the Carolinas. Cape Fearless Challenge – Join the women of One Tree Hill and Random Acts with donations that will directly support Hurricane Florence Relief Efforts. Food Bank of Central & Eastern North Carolina – Operating for over 35 years, the Food Bank of Central & Eastern North Carolina is accepting donations at drop off sites, as well as monetary donations online. North Carolina Disaster Relief Fund – Gov. Roy Cooper’s office is accepting donations to support North Carolina’s response to Hurricane Florence. New Hanover County – Individuals and organizations that wish to volunteer for, or donate to, hurricane relief efforts in New Hanover County should email HurricaneRelief@nhcgov.com or call 910-284-9713. 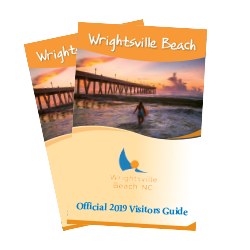 Wrightsville Beach Marathon – The annual marathon that will celebrate its tenth year in Wrightsville Beach in 2019 is accepting donations to provide funds to non-profit organizations making the biggest difference for those suffering the worst from the aftermath of Hurricane Florence. To donate, you can simply provide a monetary donation or register to run in the 10th annual Wrightsville Beach Marathon. World Central Kitchen – The non-profit has joined forces with Wilmington chef Keith Rhodes to feed people who have been cut off by flood waters in New Hanover County via Catch the Foodtruck. To provide ingredients, fuel and delivery supplies for the team to prepare more meals, donate here.